(updated; first posted in 2011) The evolution of automotive design doesn’t really have that many clearly defined mileposts, especially those with the word “revolutionary” etched into them. It’s a river of constant evolution, borrowing, and incrementalism. But there are a few, and Battista “Pinin” Farina is credited with at least two of them, likely a record. 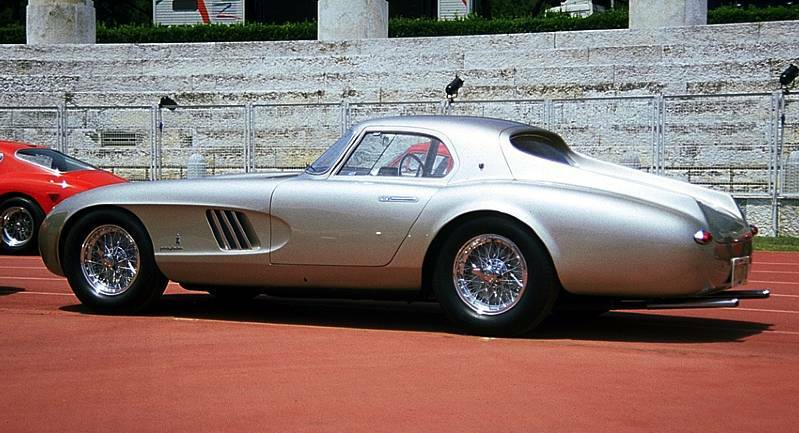 The first is his 1946 Cisitalia 202GT coupe, which synthesized an organic “molded lump of clay” pontoon style that was profoundly influential. There was hardly a sports car or sport coupe built after it for at least a decade or more that didn’t pay the Cisitalia tribute, never mind mundane sedans the world over. The pontoon style dominated the postwar years, but who else but Pinin to take the next step; to create folds, creases and angles and forever break the “pontoon” school of design that the Cisitalia ushered in and so dominated the fifties. 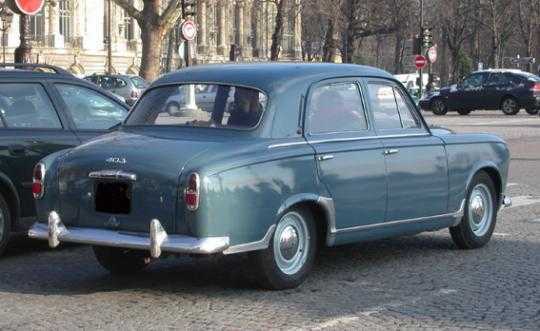 His Floridas are the progenitors of a whole new angular wave, and Pinifarina quickly spread its design language across a huge number of cars, including the Peugeot 404. The black coupe at the top is the Florida II (1957) and the prototype of the coach-built Lancia Flamina Coupe built in small numbers. Before it, there were two antecedents. The first Florida (above) was also a coupe, built in 1955, and based on the Lancia Aurelia sedan chassis. It was the first step towards a new synthesis of linearity and a formal roof, without abandoning the the curves that had dominated the post war years to date. The four-door hardtop Florida appeared later in 1955; it was both a refinement and evolution of the coupe. The front end design reflects Farina’s infatuation at the time with headlights mounted low in the grille, as was used by the “Pininfarina” Nashes and Ramblers, as well as the Nash-Healey. But at the rear, we see something new: the rear windscreen is now not mounted flush, but inset, with vestigial flying buttresses. This was first seen on Pininfarina’s superb 1954 Ferrari 375 “Bergman”, a one-off that was commissioned by Roberto Rossellini for his wive Ingrid Bergman. It was a theme that would reappear again, both on Ferraris as well as in Detroit. 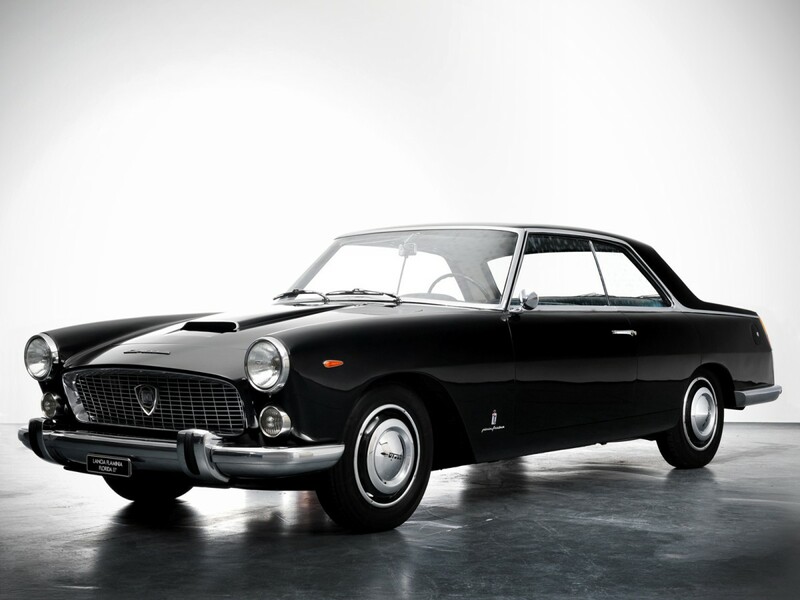 The Florida coupes and sedan begot the production Lancia Flaminia Pininfarina Coupe, as it was officially called. There were some small changes made, but its remarkably faithful to the prototype. The very delicate but significant horizontal break line can be seen well in this picture, as it depends on the lighting. It’s one of the most important features of this car, a key step in moving on from the slab-sided pontoon look. The distinctive rear window inset and the graceful extension of the C-pillar to the rear lights are almost perfectly replicated in the Peugeot 404 sedan. To appreciate the significance of the Florida’s new roof line, inset rear window, and the very deliberate break of the upper body with the lower one, we’ll have to take a look at some examples of pre-Florida designs, starting with the influential Cisitalia, above. The Peugeot 403 (1955) is a perfect example of the “pontoon” or “envelope” style that utterly predominated the late forties and early fifties, influenced by the Cisitalia. 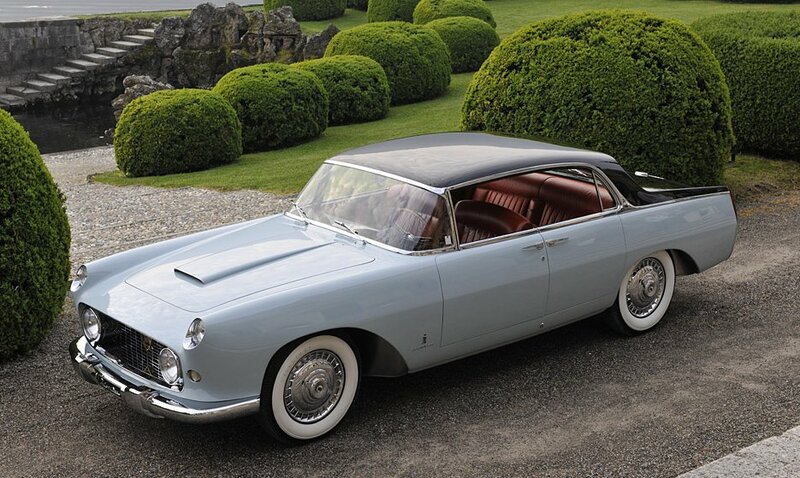 In the case of the 403, it was Pininfarina’s own design, one of the last before the Florida. Countless American cars, starting with the new 1949 post-war models, also espoused this design direction, the 1949 Ford being a particularly good example. But with the Florida, the smooth mold was broken, and in Europe certainly, it set off a revolution. American designers were undoubtedly influenced too, if not in quite such a blatant fashion, and quite so quickly. Well, the 1963 Pontiac Grand Prix and Buick Riviera certainly border on the edge of being blatant. Bill Mitchell’s dramatic shift away from Harley Earl’s rounded themes of the fifties to the sharp-edged look of the sixties owes a generous tip of his fedora to the Florida. Even the GP’s delicate but unmistakable mid-line body crease is taken straight off the Florida’s flanks. It’s so subtle that it hardly shows up in some of the Florida pictures, but it was a crucial element in breaking up that older slab-side look. 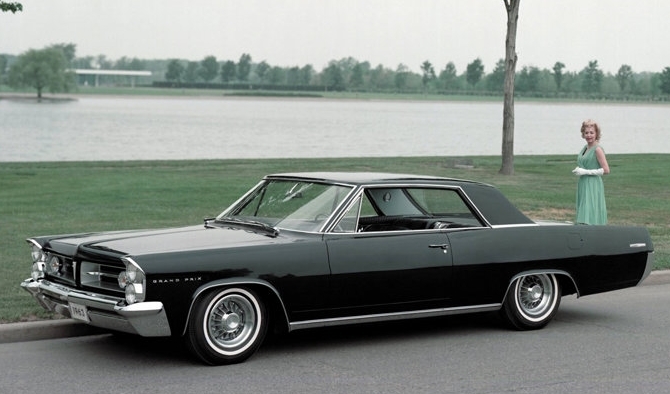 The 1966 GM Intermediate coupes, like this Chevelle Malibu, takes the Florida’s inset rear window even further. We can argue about the Florida’s influence in the US; in Europe, there was no argument. 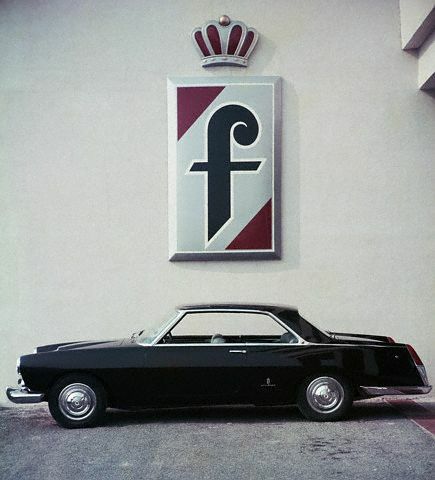 After being a fairly small designer and coachbuilder, the Florida vaulted Farina into the big time, including having the Italian government decree a change in his last name to Pininfarina, incorporating his nickname with his family name. And large European manufacturers came knocking with money in hand, eager to sign design contracts. 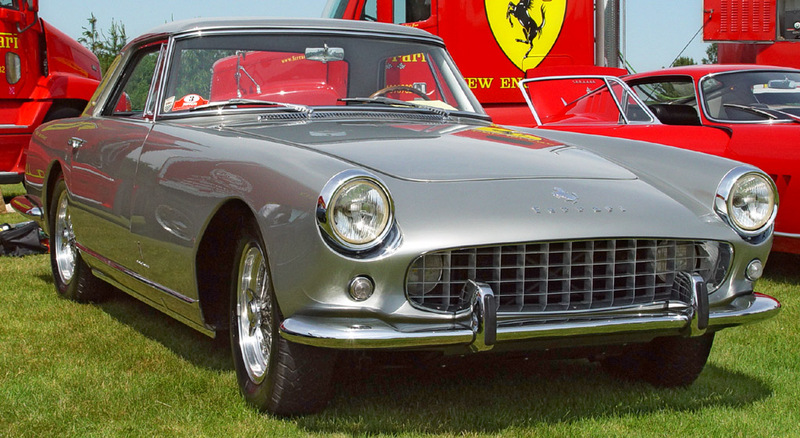 One of the biggest was with BMC, and their 1958 lineup of their mid-sized 1.5 liter sedans were the first of many to bear the Pininfarina stamp. 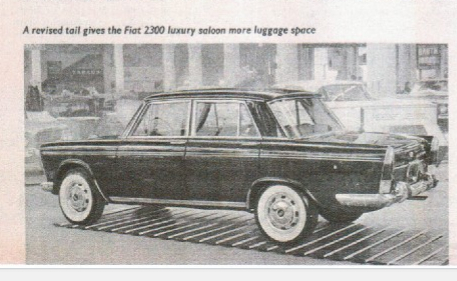 One year later, Pininfarina’s 1959 Fiat 1800 appeared, showing the Florida’s influence less diluted than in the rather fussy and finny BMC saloons, and predicting the Peugeot 404 quite accurately. Especially so from the rear. One hopes Peugeot got a volume discount for their 404 contract. 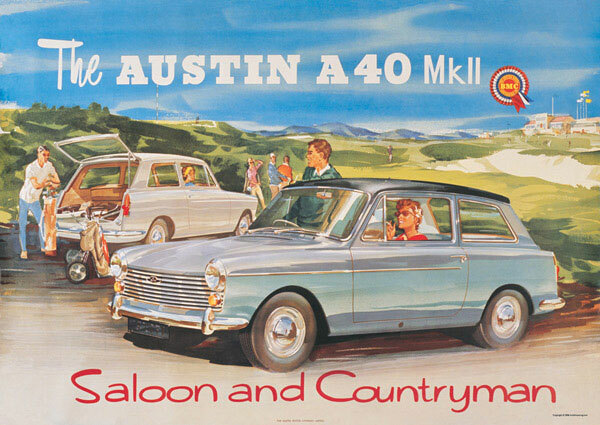 A very influential car with its tailgate-hatchback was the 1958 Austin A40 Farina, named after its designer. Predicting quite successfully the VW Golf and its ilk, A40 was built on a more pedestrian RWD platform. 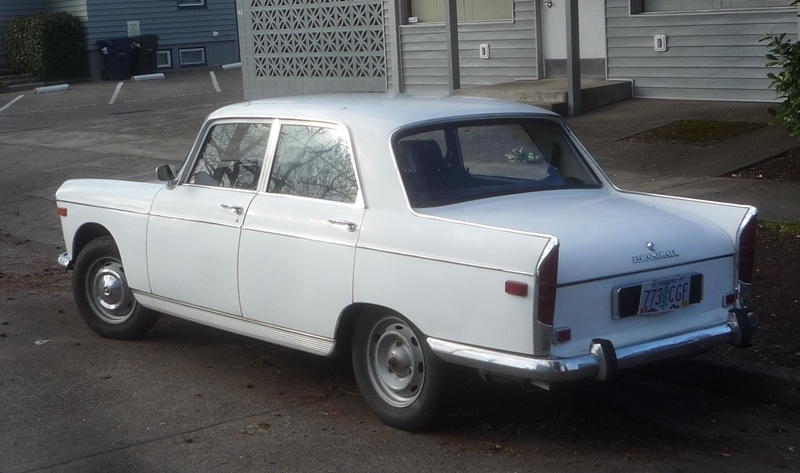 The Peugeot 404’s rear window and the way the C-pillar blends into the line ending with the rear fin was much more true to the Florida than any of the other Pininfarina production designs, and is its most distinctive feature. 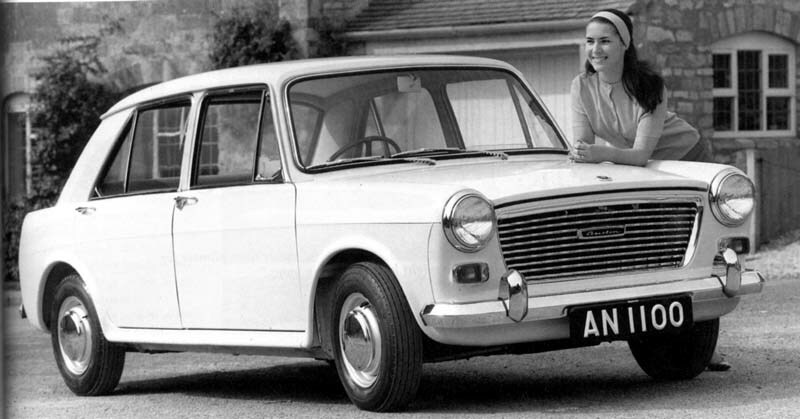 BMC’s Austin and Morris 1100 models of 1962 took the original Mini’s space efficient FWD layout to a slightly larger level, and Pininfarina adapted the Florida design language to a whole new smaller and modern level. 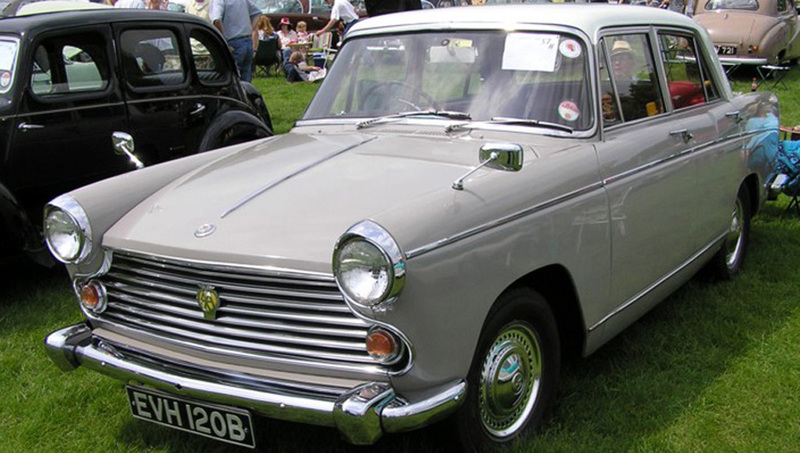 A very progressive and influential design, also built in MG and other BMC brand versions, it was sold here finally as the ill-fated Austin America. Before we leave the pedestrian Florida-influenced Pininfarinas, let’s pay homage to the brilliant Ferraris that Pininfarina designed during the Florida era, such as this 250 GT from 1958. Its front end is dripping with the Florida I, even though the actual execution with the headlights is different. The Ferrari’s superb hind quarters speak it just as much, although the rear window lacks the distinctive inset of the Florida’s. Looking outside of Pininfarina’s own work, one can see the Florida’s influence in a raft of imitators, starting with the most modest (and smoky) two-stroke Trabant, from the former East Germany. 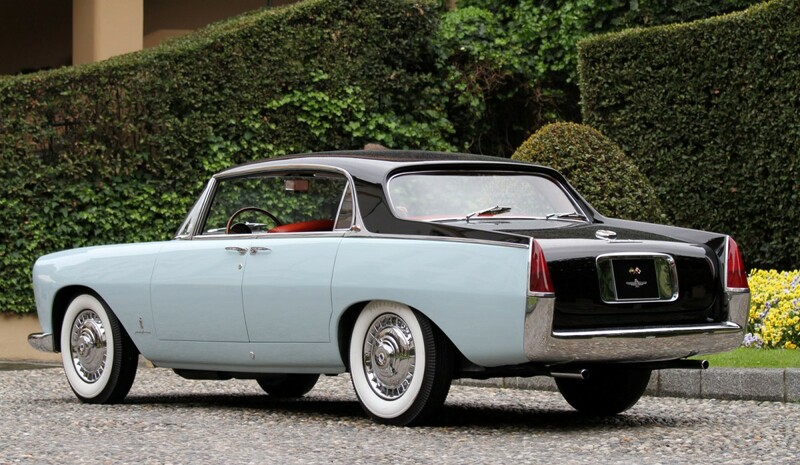 Or head across the globe, to Japan, to ponder the 1965 Nissan President. We could find a slew of cars from this era bearing the Florida’s wide-spread genes; but what about more recent designs? The handsome Fiat 130 Coupe of 1971 was a Pininfarina design, but not by Pinin himself, whose last personal and lasting effort was the Florida. It updates many of the basic Florida elements fifteen years on. Perhaps the most faithful Florida re-enactment came in 1975, with Pininfarina’s Rolls-Royce Camargue. It just goes to show how enduring a truly timeless design can be. Not bad for, for twenty years on. The game of Florida-hunting could go on all night, but let’s put it to bed with another Nissan design, the more recent Infiniti Q45 (Y33). Call it a stretch if you like, but that timeless C-pillar originated somewhere…specifically, on the 1956 Florida. 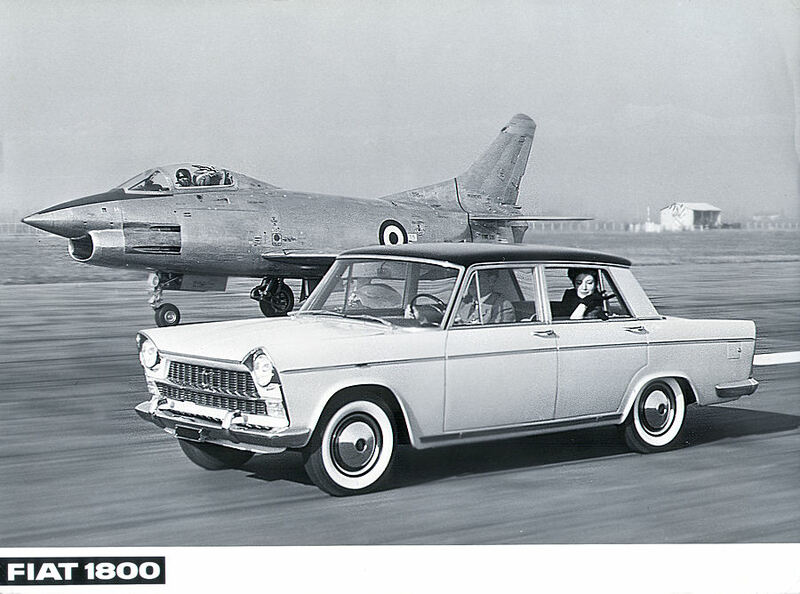 Something about the Nissan President says 1964 Rambler/AMC Ambassador to me. Which strikes me as odd of all cars for Nissan to interpret, given that those AMC cars are a weird diluted styling interpretation of the subject design here. And the 1963-64 Olds Starfire’s got in on a good rakish interpretation of this look too, perhaps with a bit too much chrome. a bit of a 63 Ford Fairlane in that Nissan President as well. As said, and as I understand, the most influental part was the long crease that divided the car lengthwise from front to end, an early form of “flame surfacing”. Farina must’ve studied how the light falls on the car, and the interesting play between light and shadow, to get the effect of longer, lower, wider. It’s visible on one of the pictures. Another interesting detail is that there were several different Flordia concept cars, one with hidden suicide doors for the back seat passengers. The doors are hidden, and have concealed door openers, à la Alfa Romeo 156. As I understand it, Farina liked the car so much he made it his personal car. And that car was also the inspiration for the Flaminia Coupe. You see, in true Italian fashion, none of the Flaminia cars had any sheetmetal in common between them. Though they looked alike, there were subtle differences. The Coupe had front wings that ended up in a smooth round line to frame the headlights, were the sedan had a sort of oblong shape with a pointy head. That discretely pointy headlight frame is lifted directly to the 404, as seen in the pictures for that article. Thank you for the additional commentary; it was getting late last night. I had that same picture of the Flamina coupe rear end, and forgot to include it, but have now, along with a ’66 Chevelle that took the sail panel extensions even further. Good question: which was more influential. The Corvair’s distinctive horizontal wrap-around crease did get old and peter out. And its roof’s influence certainly didn’t last long. Meanwhile, the slab sides (with a crease or two or three) and large, flat C-Pillars were everywhere to be seen, and can still be seen. I’d give the nod to the Florida. Today, anyway. This is the best page I’ve been able to find so far on the Flaminia cars, several pages in are a really good picture on the Florida II concept car, and it’s very dramatic rear end. I think this article explains somehow Lancias extremely eccentric wasy of doing business by not having anything in common between the mostly handbuilt cars. Where do you find girls like that driving Trabants?? She was kind enough to go out and fire it up for her grossmutter…. That’s what I was thinking !! That nice looking girl deserves a better car than stupid smokin Trabant !! How about a nice BMW ? Is it any wonder that I love pillarless hardtops and go on and on about them? They are the most beautiful auto designs (in my opinionated opinion) ever! A well-executed sedan isn’t too shabby, either. I didn’t know they could manufacture beautiful girls in the Eastern Bloc or Russia, given the technology of the times, after all, didn’t all their factories make tanks or tractors? I believe the manufacture of girls was done in their spare time or after work finished. I remember seeing three Lancia Flaminas on the Lancia stand at the London Motor Show when I was a youngster – absolutely took my breath away , I had never realised cars could be so beautiful. To really get an understand on how influental, but above all, how important that crease really is, we can look at a with/without pic of the Aston Martin Lagonda. In fairness, the earlier car has its sills painted black, to further enhance the feeling of flatness and vastness. Though the effect really is striking, and very different without the crease in the later car. Wow; I have never seen (or remember seeing) that early version of the Lagonda. A bold statement at the time to try to bring some new ideas into the design world, albeit a bit flawed. Ironically, I think I like the brutal starkness of the original better. Agreed on preferring the slab-sided version. It’s a cleaner statement. Similar to my preference for the original 61-65 Lincoln over the beveled-edge 66 version. Ingvar, thanks for the pics. I’ve loved that car for ages, and never conciously noticed the two variants. With explanations of endless specials and one-offs. Browse into “The cars” section. Extensive Lagonda history at the AMV8 section. I remember reading style critiques of the Camargue knocking it for “looking like a jumbo Fiat 130”. As a car enthusiast, I’d rather have the 130. More useable, and certainly more servicable. thanks, paul. i learn so much from your posts. +1, Paul, I have no idea where you pick up this information or where else on the web one can learn so much about cars so easily. Just great work. Yes, the Florida is a stunner. How did Renault get away with calling their much less elegant Dauphine-based convertible the “Floride”? 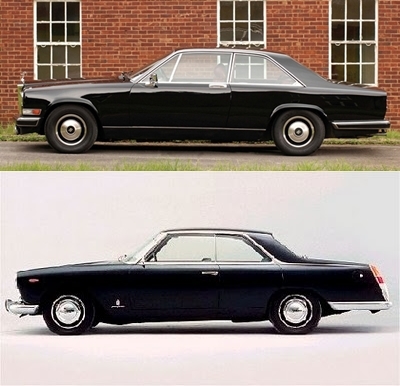 I especially like the Peugeot 404 Coupé as a development of this Lancia Florida concept, but the 404 C also, in some respects represented a development of the Cadillac Jacqueline show car that Pininfarina did a couple of years earlier, especially the delicious scallop on the side, combined with the Florida. The result is brilliant and about 6 thousand 404 Coupés were made, so more people could enjoy this look. Of course, I am biased! That Pininfarina is in such dire straits now is a tragedy…I had been hoping that Peugeot would go back to them for some design advice, as all their current cars excepting the dramatic and übercool RCZ are either plain or plain ugly. I hope someone saves this great design house of Pininfarina from oblivion. The 406 was a Pininfarina design beautiful cars to look at never got sick of mine even once dead. I used to think it was the French way of spelling ‘fluoride”. Paul, articles like this and the one on the Tatra are awesome. I never would have related the Flaminia coupe to a ’66 Chevelle before today. The latest issue of Hemmings Sports and Exotic Car has an excellent article on the 404 coupe; the side surfacing on it is very unique and very sharp, with that gradual angle. Excellent, I helped David LaChance with his research on that article, and Jim Schlick’s 404 C is nice! The BMC 1100 was by far Issigonis’ greatest achievement, a far better package all round than the Mini which is highlighted by the fact the 1100 outsold the Mini by some margin. Interesting to note also that some Ferraris use MGB (again pininfarina) tailamp clusters. I thought I recognized those lights! Whew! Thanks for the reminder of what a stunning thing the black Florida II is. I can almost convince myself I see the turquoise leather in the uppermost photo. 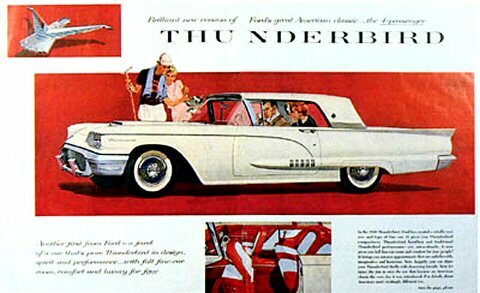 I believe the 57 Ford Skyliner actually had that roofline first, then the Thunderbird. You’re quite right. I know that, but always tend to forget it. The Skyliner wasn’t very common. That roof tends to be strongly associated with the T-Bird. I’ve updated the text. Ferrari 365 GT4 2+2, 400i, 412i were developments of the Fiat 130 version of this shape. A lot of Japanese 60s cars like the Nissan pictured were Italian stylish. It was in the 70s that they lost the styling plot. Still reliable, well made, well equipped and VFM though. The wikipage for the Nissan President shows how they messed up the styling. Japanese makes apparently have the budget to afford limited-production & halo cars like the President, Toyota Century, or Honda NSX (at the other extreme), compared to Detroit, who can no longer afford extravagances like the Cadillac V16 or the Conti Mk. II. I’d only take issue with citing the GT Hawk as being influence by the Florida l. Ninety percent of it’s design was simply Bob Bourke’s groundbreaking ’53 Studebaker Starliner cleaned up and refreshed by Brooks Stevens. As such, it predated the Florida by two years as a production car and more so as a design concept. It was a very fast job executed in 1960, after Sherwood Egbert took over at S-P, so well after the Florida concepts vs. the Flamina production cars. Brooks was very well versed in international design trends, and exhibited his own designs internationally in the 50s. But it’s fair to say the roof execution is more of a direct nod/lift from the ’58 T-Bird. Wow! That C-pillar-down-to-taillight curve is perfectly beautiful. Gave me a shiver. 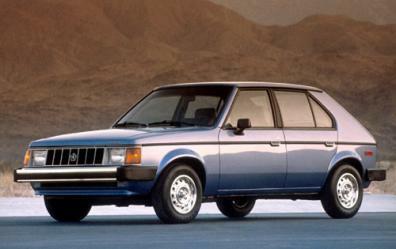 But you missed the one and only vehicle that truly copied it: The Subaru Brat. A superbly thought out right-up. Very impressive!!!! +! I’d kill to have Paul’s historical automotive knowledge and ability to translate and weave it into great blog posts. Impressive! Pininfarina designed some fascinating looking cars over the years. One thing I notice about these fine examples (especially the Pininfarina Florida models) are the deliciously thin roof pillars. It seems with the crash & rollover protection standards of today we shall never again see this lovely design aesthetic. One must ask, is it worth it to sacrifice outward visibility in order to “protect” ourselves in the event of an accident? How many more accidents are caused by the poor visibility evident in many modern car designs? If the trend continues, I see us rolling (not driving) around in 100% accident-proof mobile transportation devices, (lets not even call them cars anymore), devoid of any sensation or real information about the external environment. Let the car drive itself, as fully-autonomous cars become a reality for the masses, and you can just text, tweet, post merrily away, unencumbered by the annoyance of having to actually operate the vehicle. The first step was the elimination of our beloved manual transmissions, and we continue to relinquish more and more driver control to microchips, sensors, and all manner of electronic nannies. But… but… but… do you not know this is to protect your children and your children’s children’s children you ingrate? Rollover accidents in cars are a very real thing! The big heads of safety conscious owners raises the center of gravity dangerously high! Good to hear someone else thinks so. I’d rather see out and avoid an accident, rather than be safe in one! Well, as someone who rolled my car a few years back, I beg to differ. It was an ’88 Plymouth Horizon. It did great – not even a broken window. Had to be thrown out after that of course. Looked like this before the rollover. Isn’t that adorable? Is that a Florida roof? No? Anyway, a very underrated car, and as cheap as a Hundai Excel. Safety, and safety devices, aren’t important. I want to point out for the record that while the feds did recently roll out considerably more stringent roof crush standards, they do not necessarily require everything to look like a bunker. Having really delicate roof pillars like some ’50s and ’60s hardtops is probably not practical, but the current Mercedes E-Class and S-Class coupes don’t have grandiose A-pillars and both cars are still pillarless hardtops! That’s undoubtedly expensive to achieve with the current standards, of course, but I believe both cars have gotten excellent crash test results, which isn’t the case with older cars (especially hardtops). Excellent entry, Paul. What do you think about comparing the Facel Vega as a contemporary with the Florida? An interesting difference can be seen in the Facel Vega HK500 of 1961 with its 1950s style wrap-around windshield, which by had evolved by 1961 in the model EX2 to a more modern style similar to the Lancia Florida of 1955. The FV was a handsome design, but clearly in the pre-Florida mode, with its windshield, smooth, rounded sides, and especially the roof, which is classic GM of the era. For thta matter, except the front end, the FV looks like it could have been hatched at GM under Harley Earl’s direction. It looks very Motorama to me. Another significant aspect of the Florida II was the ‘dihedral’ crease along the side, which allowed for a tauter overall look and continued onto cars such as the 63 poncho as Paul mentions. It was first used by PF in 1955 on a Nash prototype, and the Florida II used this to great effect. This car was greater than the sum of its parts and Battista’s favourite personal car. It was the car he drove on his final day at Pinin Farina in 1961 and it followed his body in Battista Pininfarina”s funeral procession in 1966. 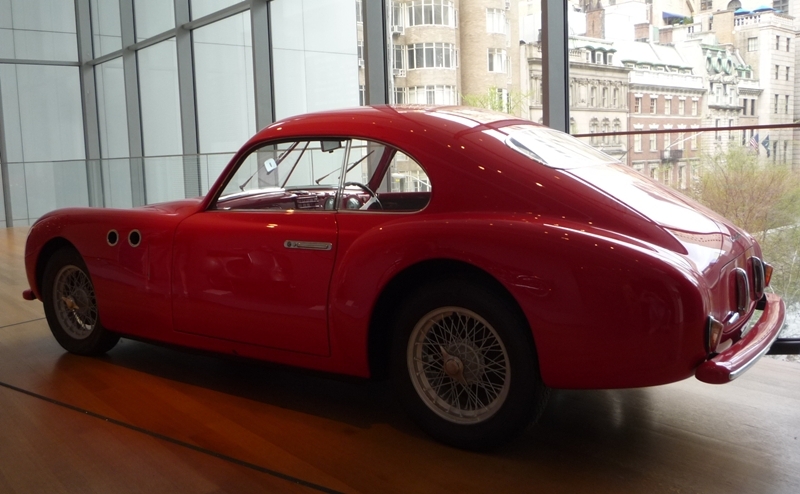 With all respect, I fail to see the Cisitalia as any kind of milestone in car design. The 1946 (1/2) Kaiser was the first production car to introduce the “pontoon” style, with the Pobyeda M-20 being the close second about a month later. Both cars were mass produced with production numbers in the magnitude of hundreds of thousands. 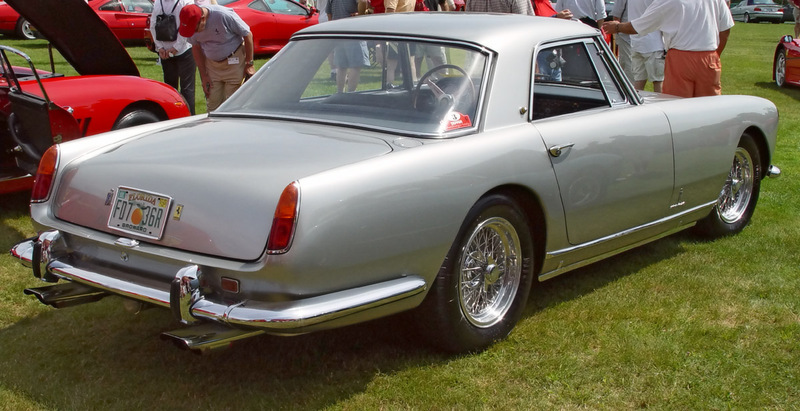 The Cisitalia’s production numbers, on the contrary, never exceeded two hundreds, and it didn’t even possess a true “envelope” body – rear fenders were not fully flush with the body sides. Looks more like a development on the theme of the mid-1930s BMW 328 Mille Miglia to me. Concerning the Florida, it’s and interesting car indeed, and its body from the A-pillar on proved to be quite influential. However, its rounded front clip always looked as if grafted from another car to me – if not at all bad looking in its own right. The GM’s interpretation of this styling paradigm really fixes that issue for me, with its proper, angular American front styling to match the clean, crisp center section with that characteristic mid-line crease. 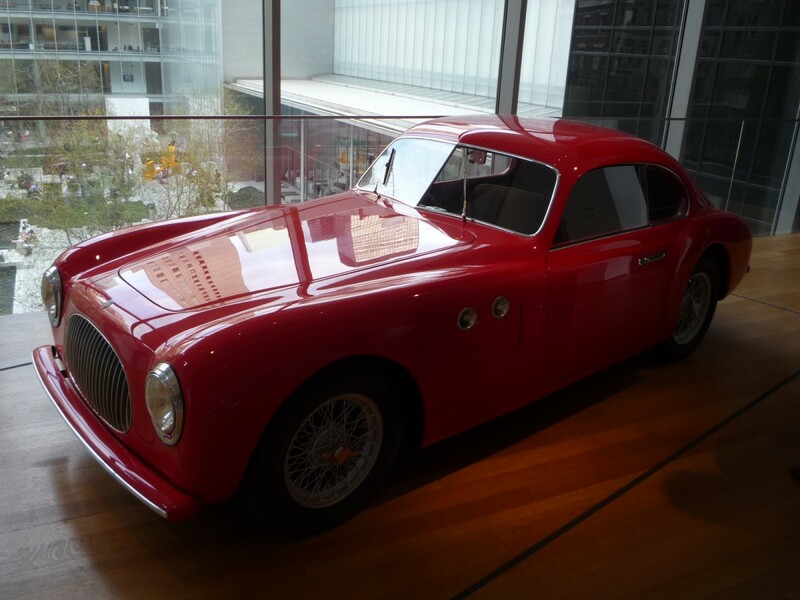 I didn’t explain the Cisitalia well enough here, and maybe should have left it out. It was not the first pontoon design, and I didn’t mean to say so. It’s what Farina did with it overall that makes it significant, from the front end, the overall proportions, to its rear. It synthesized the design trends of the pre-war era into a modern design that influenced a huge number of cars, especially the sporty coupes and roadsters of the 50s and 60s. The Kaiser was advanced, but also a bit dull. It was too slab-sided among other issues, and its front end was in another class. Advanced, but not terribly handsome. I agree with you about the Florida’s front end; it was by then a classic Farina design as seen on his Ferraris and such. It’s not the Florida’s most advanced aspect, by far, although it certainly works well on the car itself. And GM brought that front end design back for the 1971 Vega and Camaro. Kaisers and their ilk look like overinflated Singer SMs to me the same dowdy slab sidedness but of course few here have seen an SM. Well, that picture is from the Modern in NYC. So those big city arty guys liked it. I like 6 cylinder Fiats and there is not a lot out there, in English at least. They are often overlooked in marque histories. Thanks for that. Whether or not the master touched the big Fiat, I guess his influence would have been pervasive throughout the domestic industry. 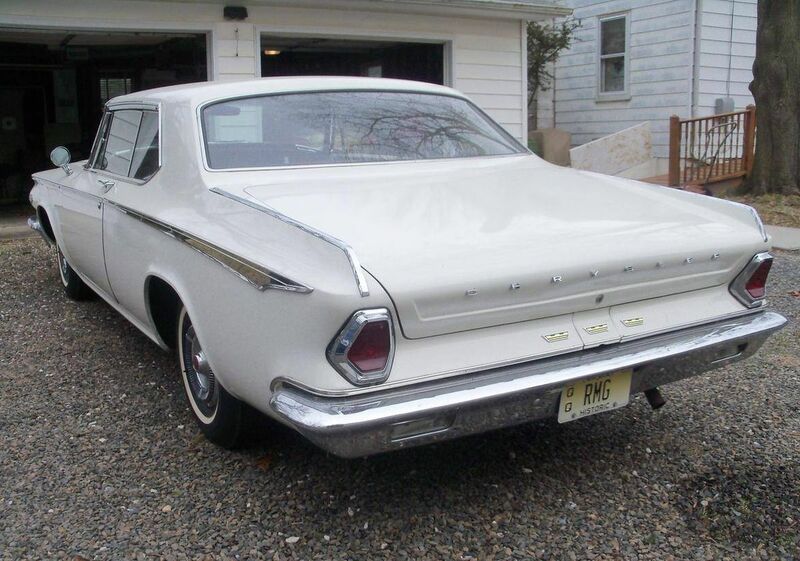 Don, I’ve read of styling differences at the rear of early and late 2300 sedans. Do you know what they were? Giacosa started with a rounder body that was reminiscent of the mid 50s Taunus/Simca Vedette, then sharpened up the body of his own accord. He speaks of ‘we’ when discussing designing this, I think he means Fabio Luigi Rapi was also involved. I agree with you that PF’s influence resulted in the sharper body, and then PF’s direct touch on the details. There was a later (IIRC) 2300 Lusso, the lower pic below. Looks like different front and rear from the standard body. Btw, a friend had a 2300 wagon which we once drove Adelaide to Melbourne and back. Car didn’t miss a beat. 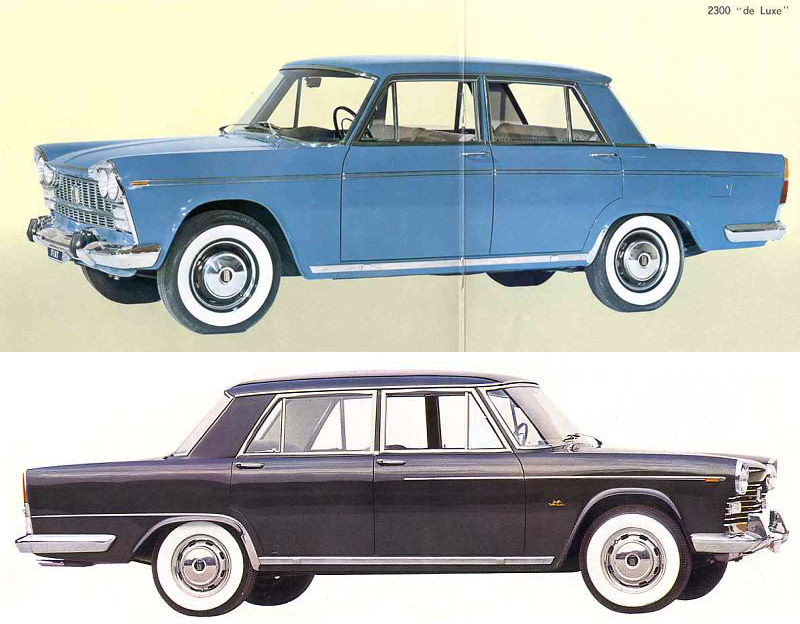 Correction: the lower pic is a Berlina Speciale with 80mm extra wheelbase. 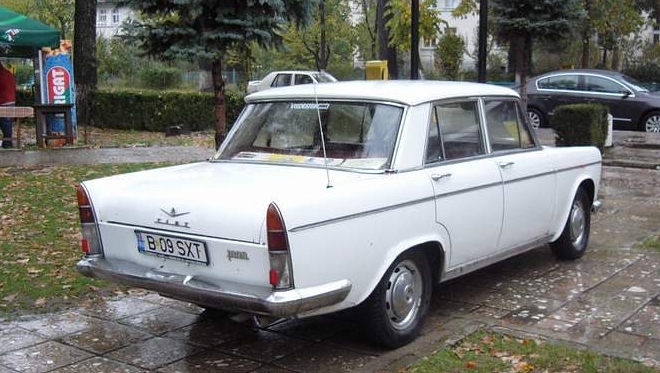 It was offered simultaneously with the 1961-63 2300 sedan and wagon. The 2300 Lusso is the 1963-68 version of the sedan with internal changes, but I can’t tell if there are any differences in the rear end treatment. +1 huge fan of these cars and I’ve never come across a whole lot written about them online. Great info on the styling, Don – I always just kinda assumed they were all PF designs. Fiat was doing so much interesting stuff at the time. Awww…not fair! Why does Don get a road trip in a 2300 wagon, and not the rest of us? Don’t worry, I really have nothing against Adelaide. Speak to my wife, after my bringing home two cars from there, she sure does! Cheers. 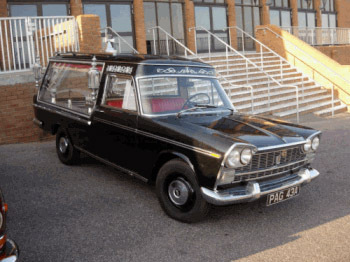 I’m not near my PF books, but I believe Battista’s last ride was in a 2300 hearse. Nope, technology defeats me again. Maybe later. I cannot figure how to select a .jpg file scanned to my desktop and display the image. In the interim I’ve emailed Paul for instructions. Autocar Geneva show report March 1963. Thanks Paul. I think the taillights look the same, but hard to tell. 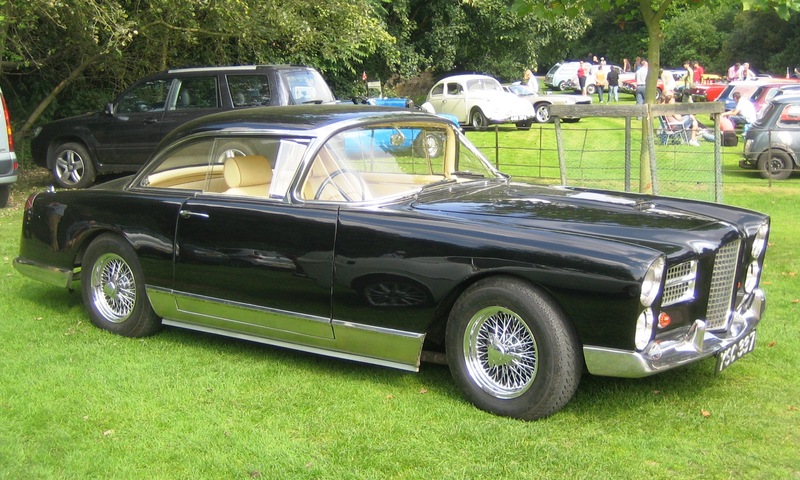 Well the 58 Thunderbird is a bit of a stretch from the Florida, but anyway….why did you pick the worse photo of the worse one on Google Images? Nothing like an original brochure. 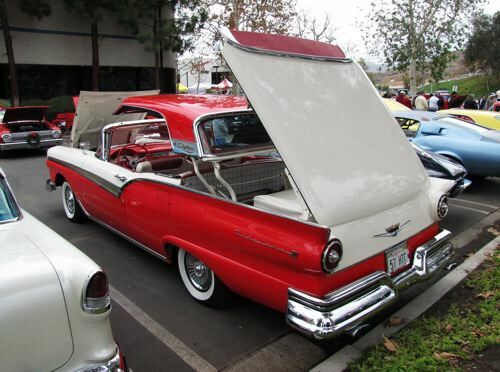 By the way, I first saw one, with the doors open and the same colors as this one, at a 1958 auto show. I thought it was a “dream car” as they called them then at first. It was just that new an idea, particularly the interior. By architectural standards, a flying buttress is a supporting pier or arch, not solid. The automotive equivalent is a Maserati Merak. 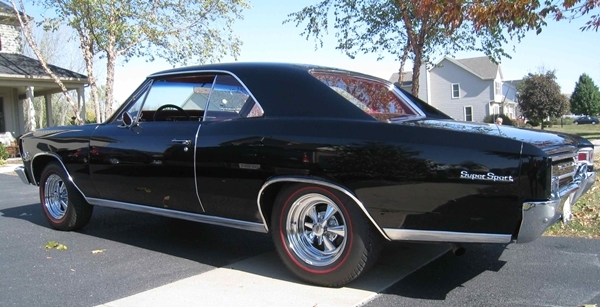 The tunneled solid form of a 66 Chevelle hardtop or 68 Charger rear window is simply a buttress in architectural terms. Great piece, Mr Niedermeyer — thank you. It’s widely accepted I guess that America’s designers, in any field you care to name, have been influenced by European precedent; it’s good to have “chapter and verse” by way of example in the automotive realm. I recall it being said, in the ‘fifties, that the custom-car boys — George Barris, et al — with their “frenched” headlights and de-chromed surfaces and chopped and channeled bodies were “cleaning up” what Detroit gave them, with the example of the overseas guys to show the way ?